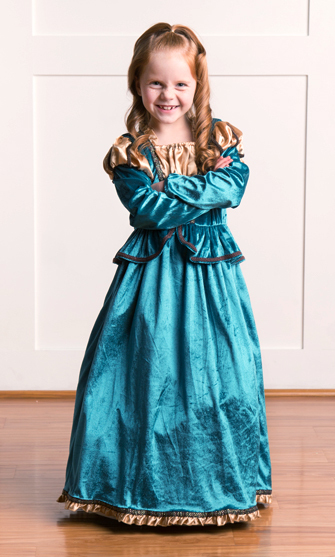 A brave princess still needs to feel like a princess…and she will in this dress! It is a rare find that we present to you here with a dress that is stretch velvet from top to bottom! But that doesn’t make it bulky or heavy. It is completely glitter-free, comfortable and not at all itchy. Even more impressive is the color- it's just as you see in the picture. Such a beautiful shade of…greenish blue? bluish green? Sometimes a princess just can’t decide. And as you expect from all of our dress ups, this is completely Machine Washable, Durable and Guaranteed to last through a Scottish brawl (if she ever finds herself in one). Q: My daughter is a few month shy of her 3rd birthday and 36" tall. Would a Small fit long enough or should be order a medium? A: Take your measuring tape and hold it at her shoulder and pull it down to the floor. See where 25" will hit (that would be the length of a small). Also see where 30" would hit. That would be the length of a medium. Q: Can the green velvet sleeve be easily detached from the puffed gold portion of the sleeve? My daughter prefers dresses with short sleeves during the warmer months. Would take it to a tailor if this was do-able. A: It would not easily detach from the rest. Because the inner sleeve is lined, it is all attached in more than one place. As well there is no elastic at the base of the gold part. A: I'm happy to answer questions about the fullness slip! Most of our dresses come without layers underneath so that girls that don't like that aren't bothered. It also keeps the cost of the dresses down. You can buy one fullness slip and use it under any dress. It is a half slip made of a soft and flexible fabric that holds a nice round shape. It is very unique in that it is only one layer and isn't scratchy like tulle. Whether or not you need one is up to you. Most of the pictures show the dresses with a slip underneath. 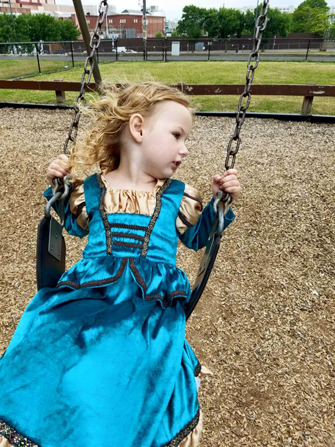 Sometimes the girls don't care if they have one just to run around and play, and sometimes they really want to look the "princess" part for Halloween or going to Disney-and that's when the slip is nice. 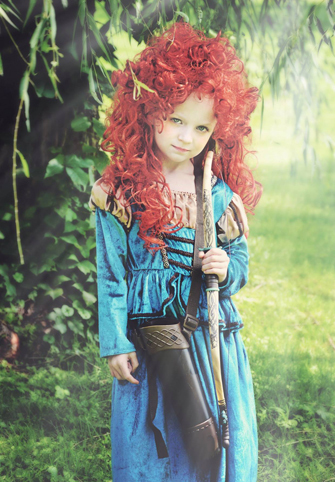 The Merida dress in particular looks very nice either way. The velvet of the skirt of the dress is captivating enough that it looks very nice hanging straight. She would wear it every day! I gave this to my 2 year old grand daughter for her Christmas Eve birthday. She loves it! This is so well made and so soft. 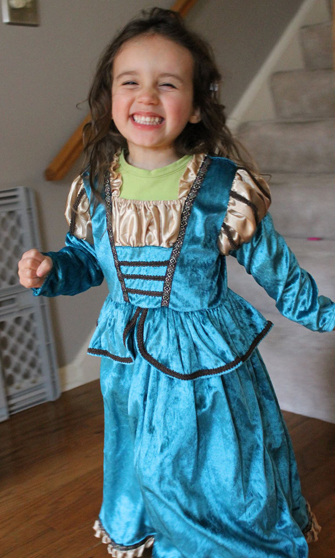 Although she has other princess dresses, this is clearly her favorite. 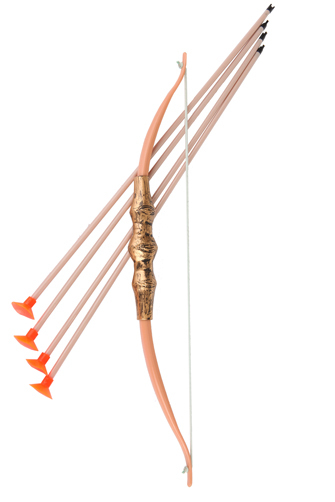 I love this company and its quality workmanship. Scottish Princess = near perfection! My little redhead looks perfect in this dress. 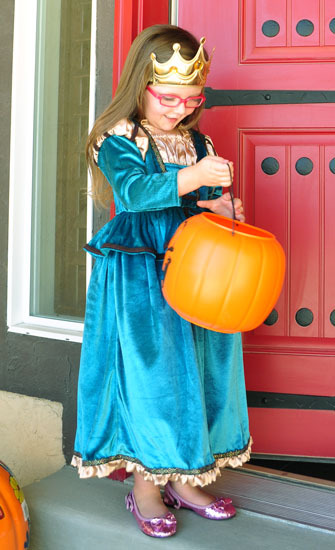 Very worth it to spend just a little more to have a nice Halloween costume that will last for years to come. Excellent Dress AND Customer Service! 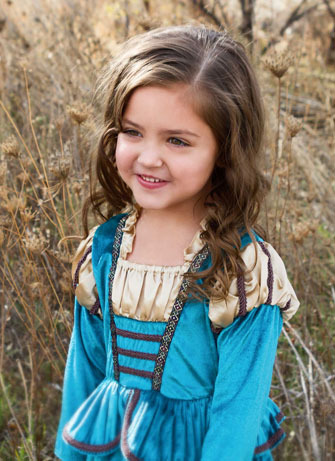 I ordered this, two other dresses, and a bunch of accessories for my daughter for Christmas. The dress looks fabulous and very well-made, but sadly, came in the wrong size. I called the 800 number, and in under 6 minutes (no lie--I just checked my call log), it was resolved. Because of our proximity to Christmas, the rep I spoke to (you rock, Holly!) made an exception, and shipped me a new dress today, with an envelope to mail the small back in. I have to say that the only thing that compares to the quality of these dresses is the quality of the customer service. I will definitely be a repeat customer! 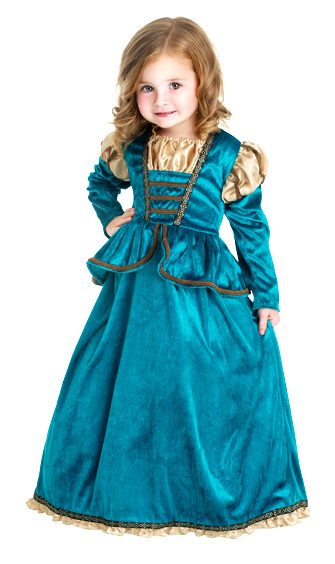 Bought this dress for my little red headed daughter to wear for Halloween. I had loads of compliments and queries into where I purchased it. Fabric is of good quality - washed well! Overall a quality, sturdy, and adorable dress for a great price! My 3 year old niece loved this. The fabric was so soft and she wouldn't take it off!! The fabric was a little more emerald green than the picture makes it look. 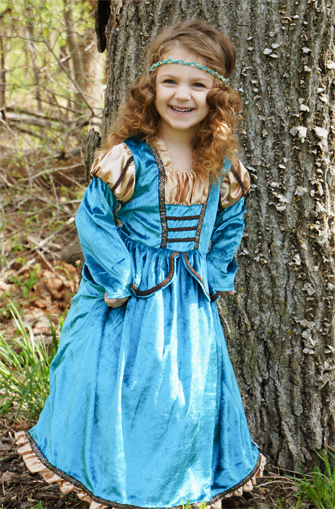 Overall this was exactly what I was looking for to add to her princess dress up collection!